Thought it was about time to show you what we found on our beds each night when we came back from dinner and the big show. I showed the first nights already so this is the next night. I presume it is and elephant. All made from rolled up towels and wash cloths. So cute. Makes me wish I was back there. Here's the next nights. Our pooch with his cute pointed ears. Then the very best one which we just kept hanging. That is our monkey. He is hanging from the cover of the indirect lighting around the cabin. Then last but not least the walrus , looks so sad that it is our last night. But then hoping for another cruise down the road. This at least is the last of the pictures that I have now in blogs to be written. I will start anew when I am able to get back on my laptop. I see now what I did wrong on the one that I have this symbol of Picasa enlarged. It will stay here showing that the pictures were put from there. I think I clicked on it and it enlarged instead of going away. Live and learn. Amazing talent someone has with towels!! Adorable! Makes a fun cruise! Cute animals -- amazing how these get thought up! 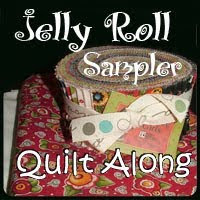 Saw on Kim's (Quilting Adventure blog you had your surgery. 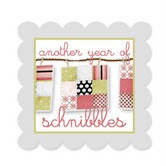 Best wishes for a speedy recovery and hope you're back home and at your quilting and blogging real soon. Hope you're recovering well from your surgery. Take it easy and be well soon! Wow, those are so much fun! I love the monkey best...and hope you are doing well, dear lady!